LSVT BIG® can be delivered by a physical or occupational therapist and is administered in 16 sessions over a single month (four sessions per week). This protocol was developed to address the unique movement impairments for people with Parkinson’s disease. Patients work one-on-one with a therapist and mirror core exercises to help their bodies relearn movements used in daily living. The experts at Magee Rehabilitation recommend that patients diagnosed with Parkinson’s disease begin exercising as soon as possible. Medications are often very effective at controlling symptoms early on, however, research shows that early movement and exercise conducted by an experienced therapist can help improve function and make everyday tasks easier. Magee also offers LSVT LOUD® for patients with Parkinson’s looking to improve their voice quality. LSVT LOUD uses repetitive, consistent, skilled practice with combined motor-system stimulation and sensory awareness training to help people recognize their voice is too soft and help them feel more comfortable using a louder voice. LSVT LOUD includes 16 sessions over a single month by certified speech therapists. Home exercises are also provided. LSVT LOUD is backed by years of research, with results supporting improvements in vocal loudness, intonation, voice quality, articulation, facial expression, and even swallowing for individuals living with Parkinson’s. While LSVT LOUD has been successfully administered to individuals in all stages of Parkinson’s, the treatment has been most effective among those who are in early or middle stages of the condition. LSVT BIG is offered at all four Magee locations. LSVT LOUD is offered at Riverfront. If you’ve been diagnosed with Parkinson’s disease and would like to receive therapy at Magee, request a prescription from your doctor to Magee Outpatient Services. Appointments can be made by calling 215-218-3900. Fill out the form below » if you would like someone to contact you regarding LSVT BIG. 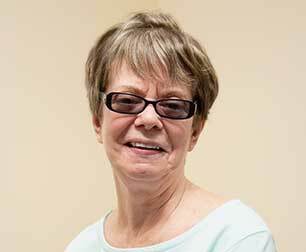 When Evelyn Cole walked into Magee Riverfront in January 2018, she needed a cane for assistance. Her steps were tiny and she was hesitant as she walked. Nine weeks later, she left the cane behind and was able to walk out the door with a big dose of confidence. It was early 2017 when the 69 year-old grandmother of three was diagnosed with Parkinson’s disease. It was not her first bout with health issues. Evelyn is also a cancer survivor. “I was falling a lot and tripping,” says Evelyn. “I was unsteady on my feet. I knew something was wrong.” After several visits with three different neurologists, the diagnosis of Parkinson’s disease was finally confirmed. “My doctor recommended physical therapy to get stronger and said if it were his mom, he would send her to Magee,” commented Evelyn. Fill out the form below if you would like someone to contact you regarding LSVT BIG. I am a current or former Magee patient.